Each Shared Mailbox will have a set of users associated with it. 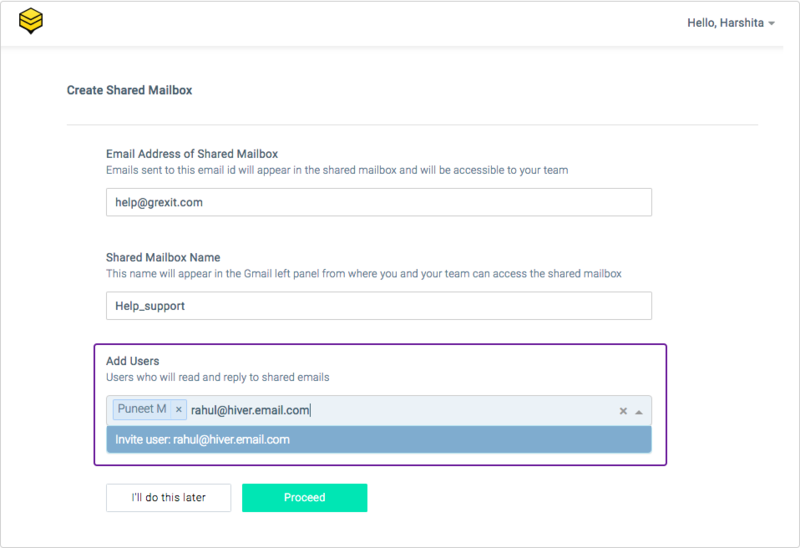 You can Assign emails to, direct Shared Notes to and share Shared Drafts with the participants of a Shared Mailbox. 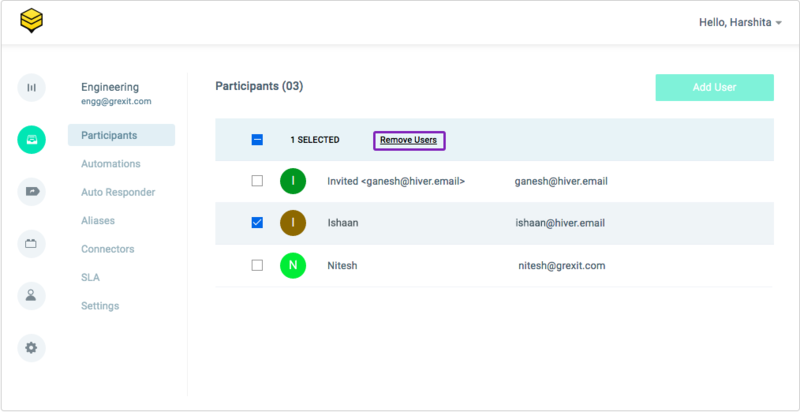 One user on the Hiver account can be a participant of multiple Shared Mailboxes. You can add users who are currently on your Hiver account as well as new users. Whenever you add a new user, she will get an email from Hiver containing the instructions needed to register herself with Hiver. You can enter the email addresses of the users in the third field. You can add/ remove users from an existing Shared Mailbox. To Remove: Click on the small box in front of the name of the participant which you want to remove. You will find the option to remove the participant from the Shared Mailbox. Removing the participant from the Shared Mailbox will not remove her from the Hiver account.